SINGAPORE, AUGUST 2017 - HighEnd Media, the independently owned multi-platform luxury media group, is teaming up with aBlogtoWatch (ABTW), the world’s most relied upon watch blog-style publication, in an exclusive deal to market ABTW’s display advertising inventory across the Southeast Asia region. Under the partnership, HighEnd Media will be the exclusive media sales representative for ABTW. This strategic alliance is primed to give HighEnd Media, which also publishes its own watch titles, access to a monthly audience of approximately 250,000 Southeast Asian consumers who regularly consume horological content online each month. HighEnd Media publishes Crown Watch Magazine and CrownWatchBlog, the group’s leading watch website with presence in Singapore, Malaysia, and Vietnam. The aforementioned major web audience is set to grow as HighEnd rolls out Crown and CrownWatchBlog in to more territories. 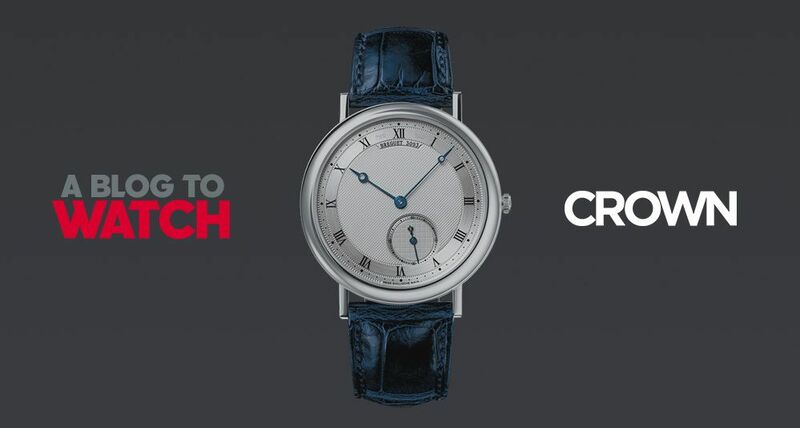 “By combining our existing efforts across CrowWatchBlog with aBlogtoWatch, we elevate our offering to advertising partners by delivering an authentic, highly sought-after, and difficult to reach niche audience at scale and can further geo-target across multiple territories,” says Andrew Nicholls, Managing Director of HighEnd Media. “We have long admired aBlogtoWatch from afar. In a recent survey, our readers in Singapore and Malaysia named them as the top resource outside of Crown for researching watch purchases,” says Alvin Wong, Editor-in-Chief of Crown. “With its intimate understanding of the watch industry and regional markets, the team at HighEnd Media are ideally suited to representing aBlogtoWatch in Southeast Asia. We look forward to working more closely with clients in that region alongside Crown.” says Ariel Adams, Founder of aBlogtoWatch. Headquartered in Singapore, HighEnd Media was founded by entrepreneur David Leppan in 2012. The multi-platform media group publishes Billionaire, an affluent lifestyle magazine and digital platform as well as horological resource Crown and its digital platform CrownWatchBlog. Established in 2013, CROWN is a quarterly print magazine for the modern watch lover. We cover all matters horological from the latest watch reviews and reports, to the most current trends and insights. Our website CrownWatchBlog.com is the most visited watch-related website with locally targeted readership and the number one resource for new watch buyers in SEA. Founded in 2007 by Ariel Adams, aBlogtoWatch is a media destination for the watch collecting and enthusiast community, and a resource for anyone who appreciates the art of telling time. Since its inception, aBlogtoWatch has grown to become a segment leader with the highest traffic for any timepiece-devoted website.